« Forget the war… let’s play footie! Forget the war… let’s play footie!! 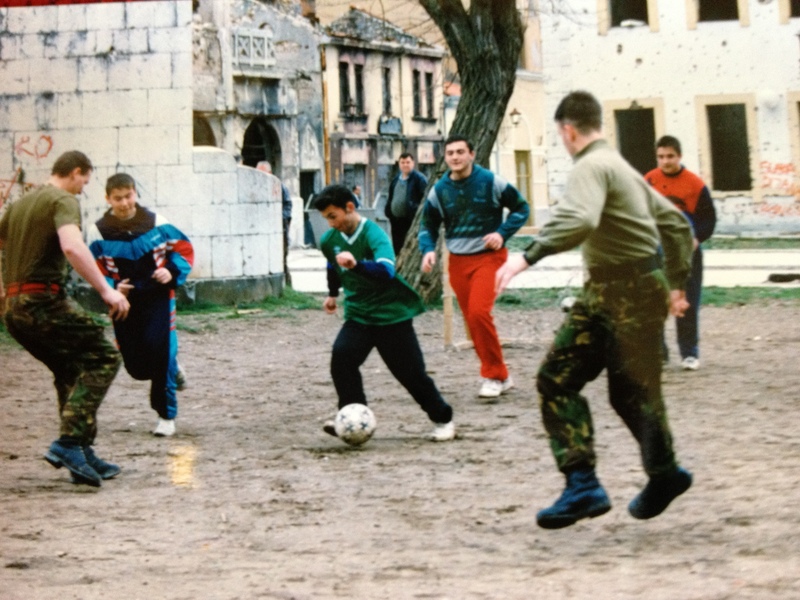 great memories of playing football with the local kids of Mostar (Bosnia-Hercegovina) en-route to the UK with Hurmija Mujic and the first group of children we (Kids in Desperate Situations (KIDS)) sponsored for MEDEVAC with the help of Professor David Southall and Dr Michael Plunkett of Child Advocacy International. Right foreground of pic: me in a “spot the ball” audition pose mid-air! This entry was posted on March 11, 1996 at 12:45 pm and is filed under Uncategorized . You can follow any responses to this entry through the RSS 2.0 feed Responses are currently closed, but you can trackback from your own site.